From The Gentle Barn (April 5, 2012): This was our first arrival today from the animals taken from the backyard butcher. She is hundreds of pounds underweight and every bone protruding, covered with mud, she has hair falling off inn clumps, sores on her face and body, a huge wound on her leg that is infected down to the bone, both eye are infected, her knees are swollen and we are fighting hard to save her life and absolutely cannot do this without you. 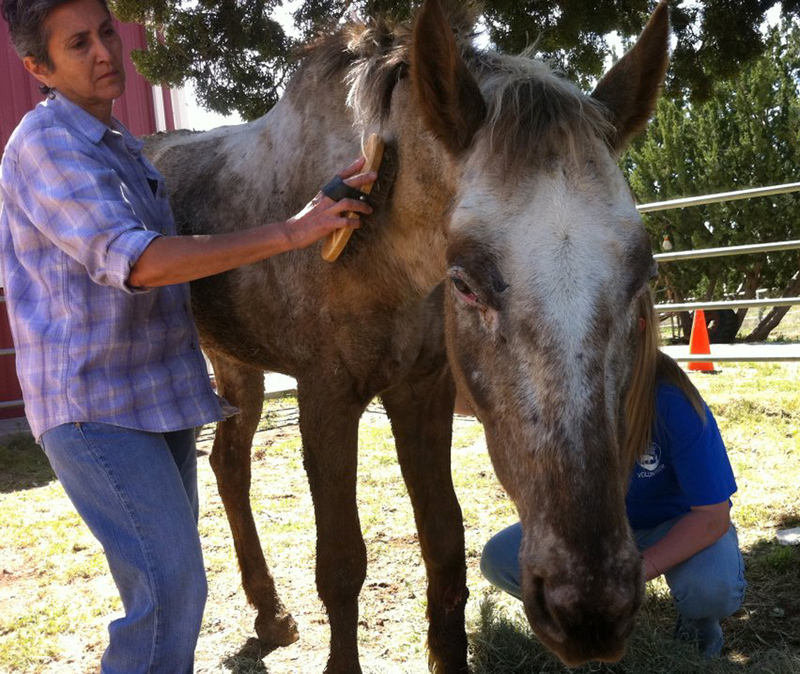 Please donate at www.gentlebarn.org, thank you! Supervisor Michael D. Antonovich will honor the Gentle Barn at Tuesday’s meeting of the Los Angeles County Board of Supervisors, for its assistance to Los Angeles County Animal Care and Control in the case of the “backyard butcher.” The Gentle Barn rescued and rehabilitated 51 animals from the home in the Santa Clarita Valley. The Gentle Barn Foundation is a nonprofit organization that was founded in 1999 as a safe haven and place of recovery for abused farm animals and children. Its unique philosophy rehabilitates animals and connects their stories of survival and healing to the personal experiences of inner city, at-risk and special needs children and adults who have suffered physical, mental or emotional trauma.